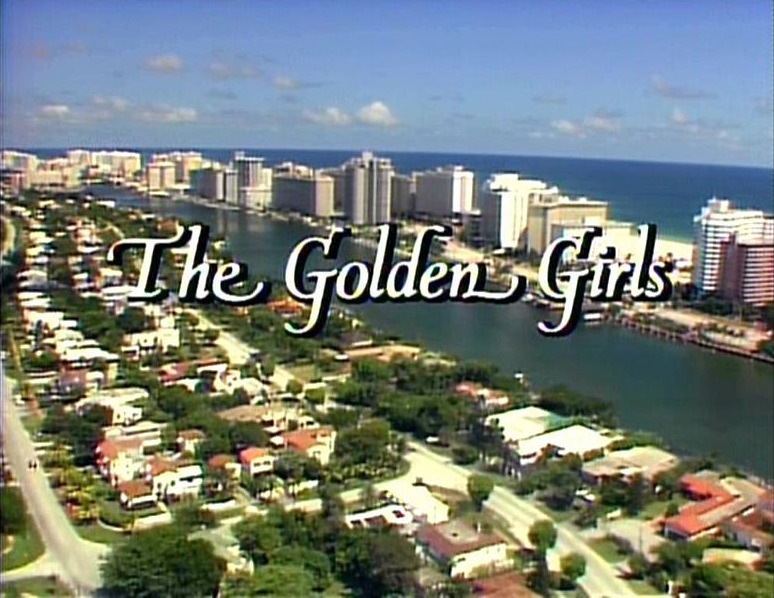 I've said it before and I'll say it again: The Golden Girls is one of the best shows in TV history. The comedic timing is incredible, the writing is great, the actresses are brilliant, even the extras are wonderful at acting. I've fangirled about the show and compared it to others on this lil blog before. Unfortunately, three of the four girls have passed away over the past three years, the most recent one being Rue McClanahan. I watch Golden Girls at least once a week and when I do not have a ton of homework to do I watch it practically everyday (I know...I'm pathetic. :) ). It brings me so much joy and I am still impressed with how good of a show it is, even though I have seen every episode more than 10 times (I know...I'm a dork. :) ). 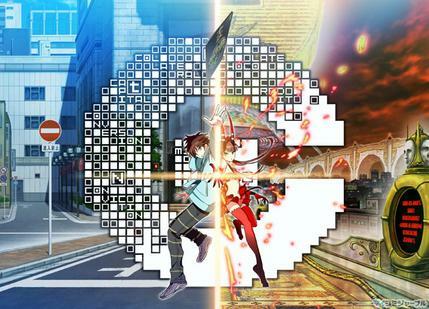 Out of love and thanks for the show, I'm going to make a style tribute to all four characters. I'll go in order of the passing of each female lead, starting with Estelle Getty who played Sophia Petrillo, then Bea Arthur who was Dorothy Zbornak, next will be Rue McClanahan's character Blanche Devereaux, and finally I'll talk about Betty White, who is still alive :), who played Rose Nylund. This Sicilian is sassy as hell and cute to boot. She has New York swagger with Italian, Old World charm. She starts off a little older than 80 years in the series, which makes her the oldest out of all of the girls. 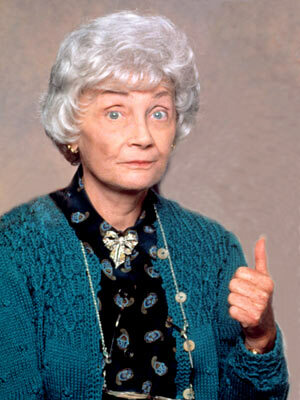 Sophia Petrillo is the mother of character Dorothy Zbornak. Often she gives the girls, and really everybody, a hard time. You can always count on her to have a snappy comeback or a witty observation. Her daughter Dorothy has this talent too, however Sophia's comments often come with a wiser humor. Half the time she is joking about something that the 75+ crowd would notice and the younger folks would not. 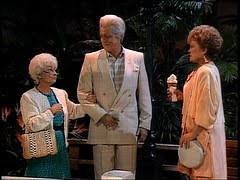 Fun Fact: Estelle Getty, who played Sophia Petrillo, was actually a year YOUNGER than Bea Arthur who played her daughter. I never thought she looked 80 years old, but I never would have guessed she was younger in real life than her "tv daughter". Oh that tv makeup magic! When it comes to clothes, Sophia truly rocks "Granny Style". I also noticed that some of her shirts and dresses have a Peter-Pan style collar. Don't forget her Bamboo Purse!!! A running gag of the show is that Sophia carried it around with her EVERYWHERE. She can be seen walking around the house in the middle of the night with it and even carrying it to the bathroom. The look to the left is something that I think young, fashionista Sophia would wear. I think the most fun, sassy, and old-school thing that was on the runways this spring was a romper. I can definitely see her wearing one with a similar print to her dresses. The one I have above is a fun floral print romper. The cardigan reminds me of her Bamboo purse. I love the way the color of the cardigan is similar to the belt on the romper. 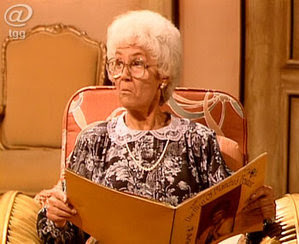 I think the 2010 trend-following Sophia Petrillo would approve too. If I wanted to wear something A-La-Sophia, I would wear the Peter Pan collar tunic, seen above to the right, with a really cute, button up, granny-looking cardigan. I would go for a longer looking dress to copy Sophia's style, but it's in the 90s on average here at school and I hate being too hot. However the classrooms are FREEZING so I would need that cardigan for indoors. Sophia often had on shoes that were either flat sandals or a small square heel. The sandals above for both looks are not the cutest I have ever seen, however I like them and they are very Sophia. With both looks there HAS to be a bamboo purse and glasses on a chain that can hang around the neck. How would you rock a look like Sophia? What would you see her younger self wearing? Are you a Golden Girls fan? I'd love to hear from you!!! 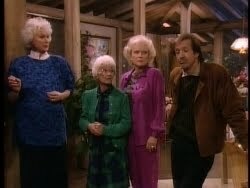 I love the Golden Girls! Nice work.